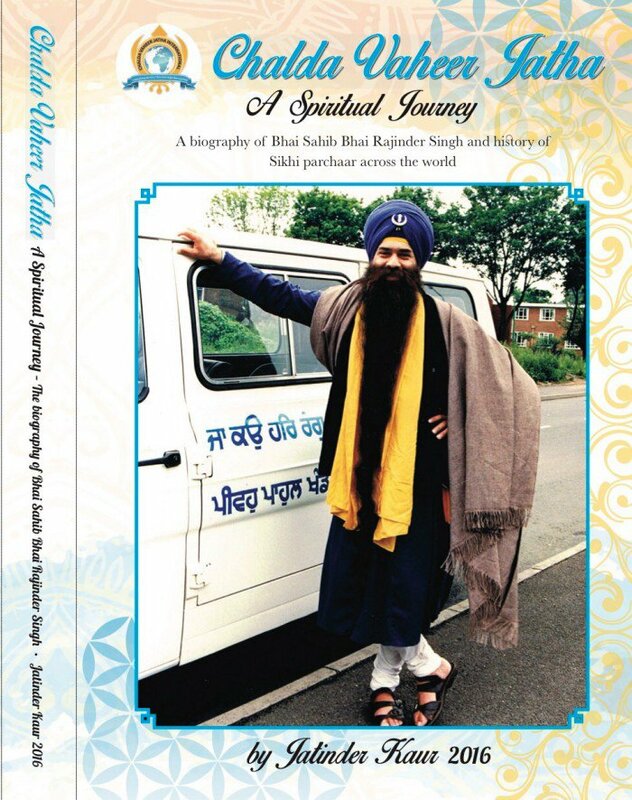 ‘A Spiritual Journey’ describes one individual’s struggles to achieve salvation and walk on the path of Sikhism. Bhai Sahib Rajinder Singh Ji was an enlightened soul who touched many people's lives across the world. He dedicated his life to Sikhi par char. From 1972 to 2000 Bhai Sahib kept the 'dharmic Sikh mission' and travelled across the world planting the seed of Sikhism outside Punjab (India) through self-less service niskham sewa. I can still vividly recall the first time I set eyes upon a picture of Bhai Rajinder Singh Jee - radiant face, long flowing jet-black beard, tall stature, and that charismatic smile that speaks volumes to you. I was in awe, wondering who this Gurmukh soul is and what is his story? Growing up, I was fortunate to read the jeevan of other great Gursikh personalities, the likes of Bhai Rama Singh Jee, Baba Harnam Singh Jee Rampur Khera and many others, yet I still had the desire in me to know more regarding Bhai Sahib's life. 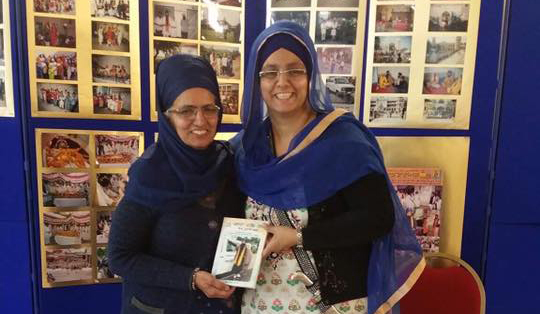 My joy knew no bounds when I chanced across Phenji Jatinder Kaur (the author) from Brisbane, Australia in May 2016 at a local camp in Malaysia and found out regarding her labour of love - 6 years spent in writing this book. Hence, when it was finally released in November 2016 during Bhai Sahib's barsi at Kuala Lumpur, Malaysia, I was immediately engrossed in the book and finished it within a day. Essentially, the book has four major parts that form the backbone of the story, beginning right from the early Sikh foundations which describes Bhai Sahib’s childhood, his family background and more importantly, his migration to England. After the initial introduction, part two of the book shows us regarding common aspects of Bhai Sahib's early life - education, marriage, children and his employment. At this part, what struck me as really interesting was the fact that Bhai Sahib kept a personal diary where he jotted down thoughts from the inner recesses of his heart, thoughts that ranged from common goals to strategies in doing parchaar - this shed light on the fact that he was a very organised individual determined to achieve his goals. The highlight of the book is when the author goes on to describe a very pivotal, life-altering event that changed the course of Bhai Sahib's life - the 1978 Amritsar Massacre. The author then describes in detail how Bhai Sahib quits his job, his affiliation with Chalda Vaheer Jatha and starts full time parchaar sewa to sow the seeds of Gursikhi in the west where it was much needed at that time. He travelled extensively to places where no one wanted to go and rekindled the light of Sikhi in many hearts. In the final fourth part of the book, it was truly an eye-opener to read about the challenges Bhai Sahib faced when he did parchaar from various sections, yet truly inspiring to look up to his calm demeanour and steadfastness as he strived on his goal of parchaar in high spirits. Overall, the author has definitely achieved an insurmountable feat with the grace of the Guru by penning this book down. One can only begin to ponder how many souls out there will draw inspiration, solace and guidance from this book - a must read for all Sikhs. In December 2016 the biography book of Late Bhai Sahib Rajinder Singh was launched across 3 countries: Malaysia, UK and France. Bhai Sahib was an enlightened soul who touched many people's lives. He dedicated his life to Sikhi Parchar and travelled across the world planting the seeds of Sikhism outside of Punjab (India) through selfless service from period 1972-2000. The biography book has been written by Bibi Jatinder Kaur (eldest daughter) of Bhai Sahib . The biography took 6 years to complete and involved a methodical approach of collating first hand interviews with family members, friends and fellow Sikh companions who had travelled with him on his world travels. The biography also collated information from newspaper articles, speeches and Bhai Sahib own diary notes which were written in both English and Punjabi. The biography book covers historical events which played significant impact on the Sikh Diaspora living in foreign lands. The book is divided into 4 parts with 25 chapters and covers the period from 1900 to 2000. The book describes the first migration of Sikhs to UK and Europe and Bhai Sahib's contribution to assisting the early Sikh settlers in UK, Europe and in Australia, New Zealand, Singapore and Malaysia. The book’s title ‘A Spiritual Journey’ describes one individual’s struggles to achieve salvation and walk on the path of Sikhism. On 10 November 2000 at the age of 48 years Bhai Sahib Rajinder Singh died from a heart attack. In 2004, he was given the highest honour when his portrait was installed in National Sikh Museum in Amritsar in recognition for his contribution to Sikh community across the world. The biography book is to acknowledge his contribution to the Sikh community across the world. The book was written in English and has been translated into Punjabi and is Available in both languages.